Former ABC News Correspondent Bill Blakemore ’65 read the new Wesleyan history by David Potts ’60 as a search for the “Wesleyanesque.” Here is his book report. You don’t have to be interested in the history of institutions, nor even an academic, to enjoy and gain from this book. “From it, I’ve been learning a lot about both Wesleyan and my own younger self,” wrote a 1960 graduate in thanking classmate David Potts for his magisterial history, Wesleyan University, 1910–1970: Academic Ambition and Middle-Class America. 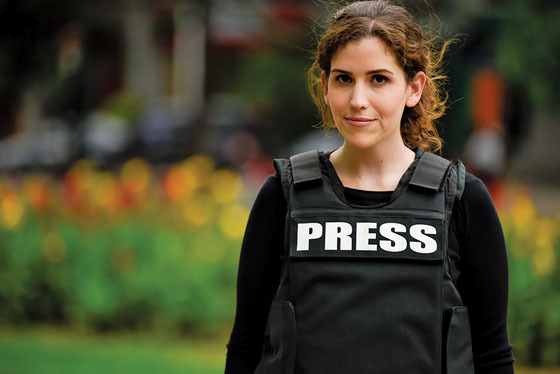 When we’re young, we take the powers of institutions that nourish us mostly for granted. Busy with the required project at hand—our hopeful young selves—we have little notion of the long years of struggle among competing visionaries with their natural self-interests and differing theories of education. 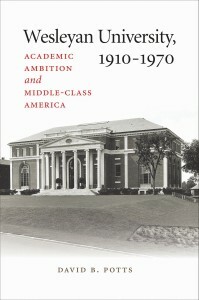 In David Potts’ new book—a second volume, following his highly acclaimed Wesleyan University, 1831-1910: Collegiate Enterprise in New England—we learn of clashing styles of excellence on boards of trustees and faculty committees, of unforeseeable setbacks, of principles fought for amid hard financial choices, some wise, some mistaken, all of which braided together to produce the particular alma mater we each experienced in our own way. No two alums, of course, will find the same passages in this book that may help illuminate their own adult choices—their failures as well as successes. Learning how President Vic Butterfield kept a card file of promising scholar-teachers from which he recruited a new generation of faculty to upgrade Wesleyan’s standing and quality may spark memories of encounters with them. For the class of ’65 they might include the luminous “poet of sanity” Richard Wilbur; philosopher Louis Mink, remembered gratefully for “teaching us to tolerate ambiguity”; the pioneering ethnomusicologist David McAllester, who astonished our freshman humanities class with stories of vision-driven ceremonies among the Navajo and Comanche; and the perceptive time traveler Tom Tatsuo Tashiro, a Nisei American whose teenage experience of extreme wartime racism in the U.S. (of which we learned years later) had only amplified his radiant devotion to teaching. Alums interested in how to run institutions may take caution from learning of the excessive optimism of a board that was handling windfall profits from the Wesleyan University Press. Younger alums may find much to reflect on in depictions of the impetuous new spirit of civil rights on campus in the early 1960s, which would soon lead to a sudden and sometimes tumultuous transition in admission policy that finally brought in more people of color, more Jewish students and, at last, women. 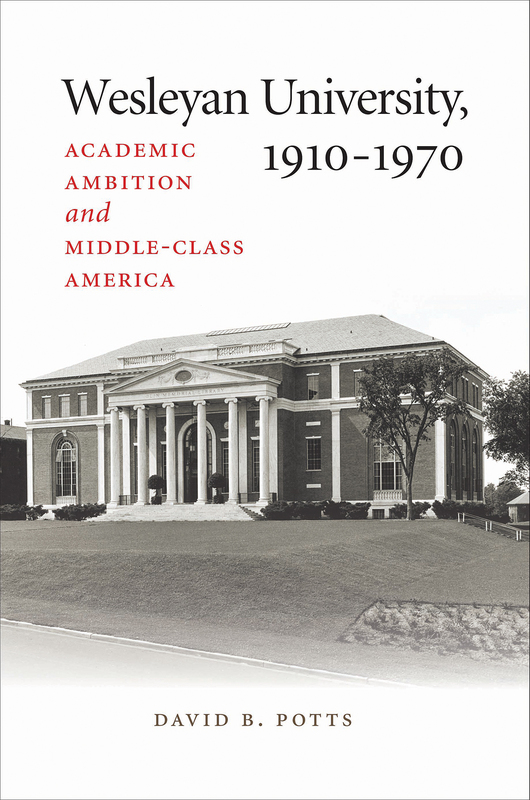 In my case, I focused on the book’s descriptions of President Victor Butterfield’s unquenchable vision of the initial three residential colleges for the study of letters, social studies, and quantitative studies. These cross-disciplinary “anti-departments” were designed to break out of narrowly defined traditional majors and encourage youthful curiosities to go not only deep but wide. Reflecting today amid the dizzying instant global reach of the World Wide Web (taken for granted by today’s students), Butterfield’s vision for these colleges seems prescient—as if he somehow sensed how our current tech-born ability to learn most anything instantly by asking Siri or Google would require us to have a new psychological comfort level with such intoxicating informational bounty. And that we would also need the intellectual tools and disposition not only to marshal the contents but also find patterns in this new whirlwind. As a class of ’65 student in the early years of the College of Letters, reading about Butterfield’s dream of colleges made me ponder whether the COL’s self-consciously multi-disciplinary approach (history, philosophy, and comparative literature, as we were often reminded) may have opened my particular undisciplined but curious mind in a way that later encouraged, and perhaps partly justified, adventures into professional journalism—and even into the “general assignment” category, specializing permanently in no one area but crossing back and forth between several. 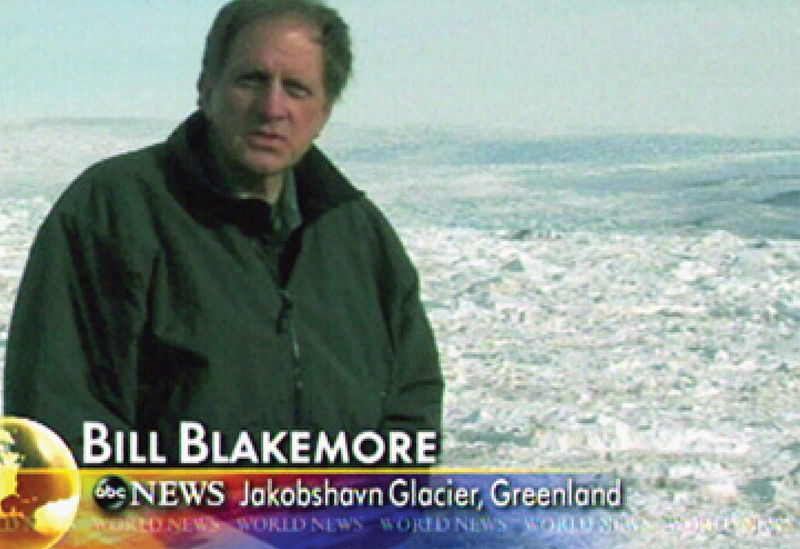 Bill Blakemore ’65, former ABC News correspondent shown on the Greenland ice sheet, now reports and lectures on climate change. Photo: ABC News. Reading of Butterfield’s persistent drive to shake up 1950s students, who were sometimes called a “Silent Generation” of “docile note-takers,” by challenging them with the aggregating approach of his new colleges spurred me also to ponder how that approach may have played in the specific personalities of several good friends in COL ’65 who dispersed widely into the world, becoming, for example, U.S. diplomats abroad, or professors of history, or field ecologists, or innovative theater directors. Not that any simple linear cause and effect can ever be discovered for any life. But learning of the specific principles that built our alma mater can give you not only a new lens through which to interrogate your own flow of life but also new ideas to deepen conversations with old classmates. And for all our individual differences, there may still be a common “Wesleyanesque” quality that we all absorbed and bore out into life. I can’t escape the suspicion when talking in reunion with old COL ’65 friends that we have each proceeded with—and at times against—the same syncretic attitude encouraged by our COL tutors when they prompted us to build unlikely bridges between Milton and Hegel, Goethe and Frank Lloyd Wright, Brecht and the Wife of Bath, Montaigne and Eisenhower. In his high-windowed office on College Row, Butterfield suffered continual setbacks from faculty and administrators who argued that his urge to break old institutional and disciplinary barriers misallocated both ideas and finances. But he did succeed in establishing a new institute he called “exciting”—the Center for Advanced Studies, which brought world-famous scholars to campus. Some faculty apparently resented the competition, but we neophytes had our minds and, we now know, our souls, opened because we had the privilege of sitting and conversing at the CAS with intellectual leaders—the powerful literary critic Edmund Wilson with his gentle piercing gaze as he sat in his desk chair; or Hannah Arendt, after listening to her informal talk assessing her own methods for assessing Eichmann as he sat in the dock in Jerusalem; or C.P. Snow after his talk about the trouble with the deep division he depicted in his border-crossing book, The Two Cultures and the Scientific Revolution. Some faculty and administrators thought Butterfield’s College Plan was way too general or undisciplined; they seemed to feel safer with the familiar categories with which long established curricula divided up the world. These differences continued beyond Butterfield’s retirement in 1967, and he would never live to see the recent reemergence of his vision under the presidency of Michael Roth ’78. Now four more colleges complement COL and CSS: the College of the Environment, the College of Film and the Moving Image, the College of East Asian Studies, and the College of Integrative Sciences. Roth now speaks and writes eloquently of how the essence of Butterfield’s boundary-crossing colleges is an idea whose time has come, supporting a rebirth of liberal education now badly needed to resist economic and structural pressures on students to specialize too narrowly too soon. And now well rooted, it’s still blossoming. At the recent Wesleyan evening on Broadway for the smash hit (and hip-hop) musical Hamilton, by Lin-Manuel Miranda ’02, I ran into old friend and fellow COL alum Joe Fins ’82, M.D., M.A.C.P. (ask Google), who had expanded on his COL liberal arts grounding to become one of America’s leading medical ethicists. He, too, had just been reading Dave Potts’ new book on Wesleyan’s history. We both remarked how it heightened our awareness of the exciting border-crossing experiences that rose from the core of Butterfield’s colleges idea and how that concept was even present in the events and spirit of that New York evening. “Here’s a Wes alum,” Joe observed about Miranda, “who goes on vacation and reads the biography of a political figure and isn’t afraid to cross old category lines into a different genre, the Broadway musical!” And, we noted, expands that genre as well into hip-hop to gain this sub-genre’s special narrative and personalizing powers. To say nothing, I responded, of Joe’s own new book. Rights Come to Mind: Brain Injury, Ethics, and the Struggle for Consciousness (Cambridge University Press) reports new ways to address the difficult questions for relatives and doctors trying to determine when consciousness of an apparently unresponsive patient may be truly gone. There is more than one metaphor here—of the sort encouraged in COL seminars. This implies it has some sort of DNA, some enduring unique personality. Reading about Butterfield’s prophetic struggle to create colleges that would empower students to resist accepting too much “received wisdom” reminded me of a story told by Colin Campbell near the end of his Wesleyan presidency (1970–88). He had recently hosted the regional Accreditation Committee that makes periodic visits to colleges and universities to review their operations and, if all is well, reaffirm their good standing in the American education system. The committee members had considerable perspective on the long-established characters and personalities of most institutions, he said, and could describe each succinctly. President Campbell asked if there was some quality that would define Wesleyan’s essential character. After some reflection, they said there was. 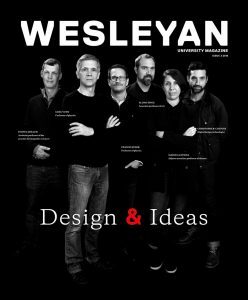 The one quality that captured Wesleyan for them, and for which it stood out, was actually a sort of paradox. What defined the strong and enduring personality of Wesleyan, they said, was that it somehow resisted ever letting itself be defined. Bill Blakemore ’65, a reporter since 1970 who covered wars, popes, arts, sciences, education and other stories for ABC News, now lectures and reports on global warming, journalism, and the cinematic art of Stanley Kubrick.